MILWAUKEE -- Community groups working together in the Clarke Square Neighborhood may have found an underlying health issue in children who live there. A school nurse working with children at Longfellow School helped spot this possible connection. This nurse is employed by Children's Hospital, which allows her to have access to vast data. She found in this area of the south side, there is a higher than average occurrence of childhood asthma, and no one knows why. They plan to find an answer and get concrete data to eventually share with the public. Not without the help and trust of the entire community. The director of the Clarke Square Neighborhood Initiative tells us he's already met with the medical student who plans to help research this issue. "She's definitely starting to pull together some of the questions we need to ask, so we can get some of those answers," explained Ian Bautista, with Clarke Square Neighborhood Initiative, "Look at possible solutions and connection to those resources." The hope is to find a cause and treatment for these children so they can live better lives and also thrive in school. Two health navigators working with Children's Hospital that have also been in Clarke Square for about a year now. They respectfully look at the needs of families and connect them with resources. The help they give could be anywhere from health to suitable housing. We hope to follow up and learn what they find in this community. 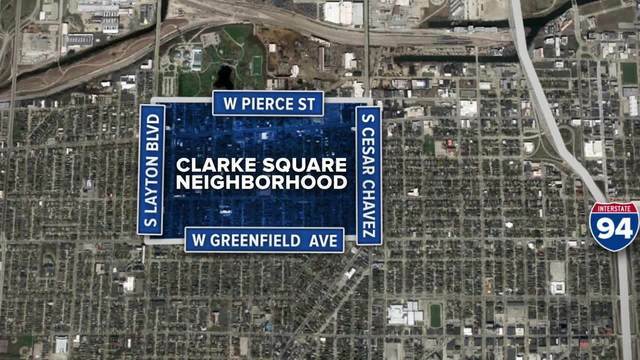 Click here to learn more about the Clarke Square Neighborhood Initiative.